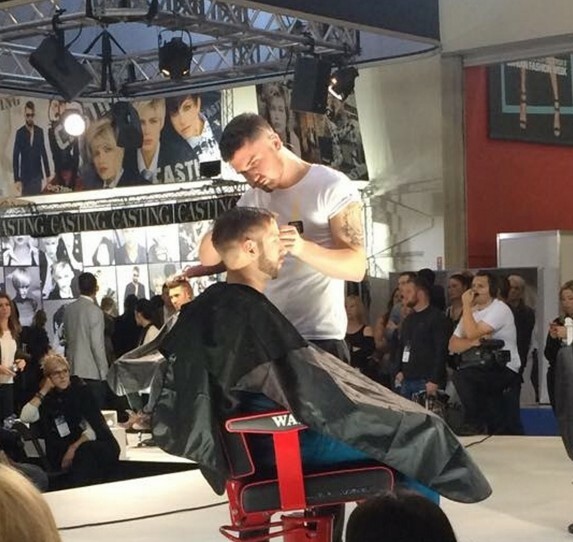 Joe Savage of Maxwell�s, Biggleswade fought off stiff competition from nine other finalists to be crowned winner of Search for a Star 2014 during the final at Salon International. Barbers from across the UK are invited to send in an image of their work and a 100 biography to enter into the live rounds on the Wahl Stage. Joe was selected on his presentation skills, technical ability, choice of model and overall appearance. Joe, is embarking on a year�s worth of money-can�t-buy experiences with the European Artistic Director, Simon Shaw.�Keep posted on Joe�s progress @WahlAcademy. For info on the 2015 competition check in with wahlacademy.co.uk.